Dr. Prow has been the audiologist at Sedona Hearing Center since 2010. 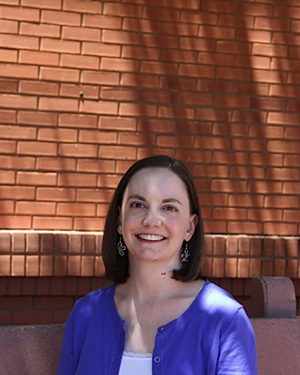 She received her Bachelors of Science degree in Speech and Hearing Science from Arizona State University in 2004 and her Doctorate of Audiology degree from A.T. Still University in 2010. As a person with hearing loss, Dr. Prow has a unique perspective on living with hearing difficulties and has a passion for helping her patients achieve a higher quality of life through better hearing. Dr. Prow was born and raised in Prescott, a rare Arizona native! She enjoys spending time with her friends and family, including her niece and nephews, as well as reading and shopping. Dr. Prow has also been a member of the Rotary Club of Sedona Red Rocks since 2011. 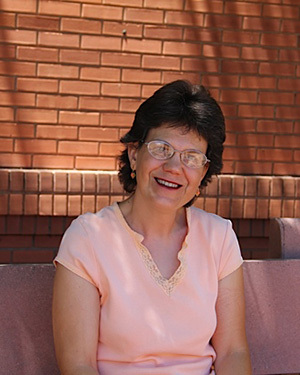 Lisa Schmidt joined Sedona Hearing Center in 2009 as our patient care coordinator. Along with greeting patients, Lisa’s responsibilities include establishing and maintaining patient charts, insurance billing and verifying insurance benefits as a courtesy to our patients. Lisa’s office experience spans a period of 30 years. Born on Long Island, New York, Lisa moved to Sedona in 1976. She attended and graduated with honors from Mingus Union High School in Cottonwood. Lisa enjoys reading, watching classic TV shows, cooking and baking.